We combine knowledge management, text mining and software development best practices to address complex business challenges, that can be solved with domain specific computer intelligence. Ontotext makes tailor-made solutions across multiple sectors: media and publishing, life sciences, government and cultural heritage, financial services and more. Our client list includes news and media agencies like the BBC and Financial Times, Top Academic publishers like Elsevier, Springer Nature and Wiley, leading pharmacological companies such as AstraZeneca, public institutions including the UK Parliament and Kadastr.NL, and cultural institutions like the British Museum and Getty Trust. Provides Semantic Search, Exploration, Categorization, Recommendation and Deep Analytics. The Platform interlinks text and graphs and enriches these graphs with facts extracted from the text. One of the leading semantic graph databases (also known as RDF Triplestore), compliant to W3C standards. GraphDB is most commonly used in scenarios with high model complexity, where semantic context and data quality are important. 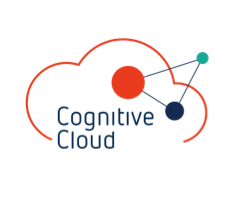 Cloud based platform that combines Semantic graph database, text analytics and knowledge graph as a service with flexible costs and scalability.